What’s So Great about a Picnic? 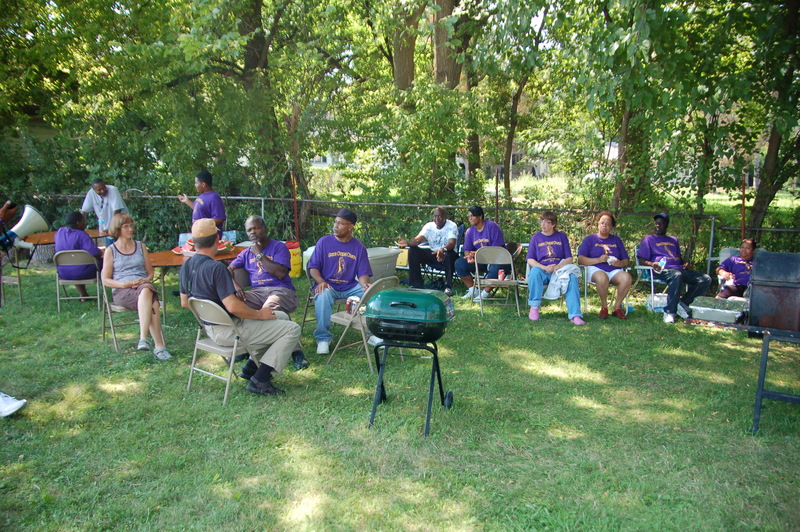 On August 25, 2012 a group of people representing small churches from Eastern Michigan met in Saginaw for a picnic. Now people have picnics all the time so what makes this one different? We could say that Grace Chapel in Saginaw knows how to put on a real picnic and that would be true. But the other difference is that Grace invited 5 other small churches to join this picnic because they had spent a week-end together in Flint back in May when two regional pastors and John Powell led a retreat for small churches of Eastern Michigan. Leaders of small churches can get discouraged and as they shared their stories back in May it seemed like the load got lighter because they were not along. They had built some friendships by spending time together and getting to know each other. Cardinal Désiré Mercier, Archbishop of Malines in Belgium, hosted the Malines Conversations between representatives of the Church of England and the Roman Catholic Church in the 1920s. When he died he left this testament: In order to unite with one another, we must love one another, in order to love one another we must know one another, in order to know one another we must go and meet one another. At the Small Church Summit in Flint people met together. They started to get to know each other. There was love for each other and I think all of this will work toward uniting them in their common purpose. I could tell by the hugs and conversation around the tables that something good had happened in Flint and at the picnic Saginaw. Picnics can be great and I think our time together in Saginaw with lots of good food and fellowship will prove valuable in the Kingdom. It was evident that it will have a lasting effect.